Delta - Chrome Vertical Single Slim-Panel Designer Radiator - 63" x 11.75"
Etna - Hydronic White Curved Heated Towel Warmer - 70.75" x 23.5"
Countess - Traditional Hydronic Heated Towel Warmer - 43.75" x 19.75"
Ischia - Hydronic White Heated Towel Warmer - 29.5" x 23.5"
An ideal option to add a sense of modern designer style to your home, the Delta chrome 63” x 11.75” vertical single slim-panel designer radiator incorporates a sleek flat panel design, and delivers an excellent heat output that will quickly transform your chosen room into a warm and inviting space. 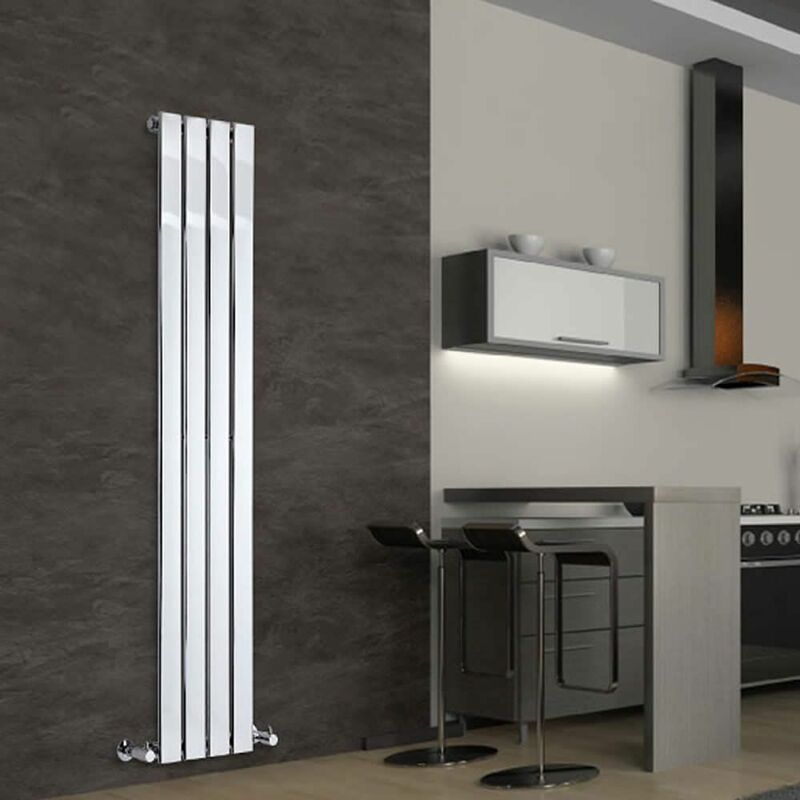 Featuring a top quality steel construction and a beautiful chrome finish, this vertical radiator offers immense durability and a stylish appearance. Valves are supplied as standard. Please Note: Our radiators are designed for forced circulation closed loop systems only. They are not compatible with open loop, gravity hot water or steam systems. 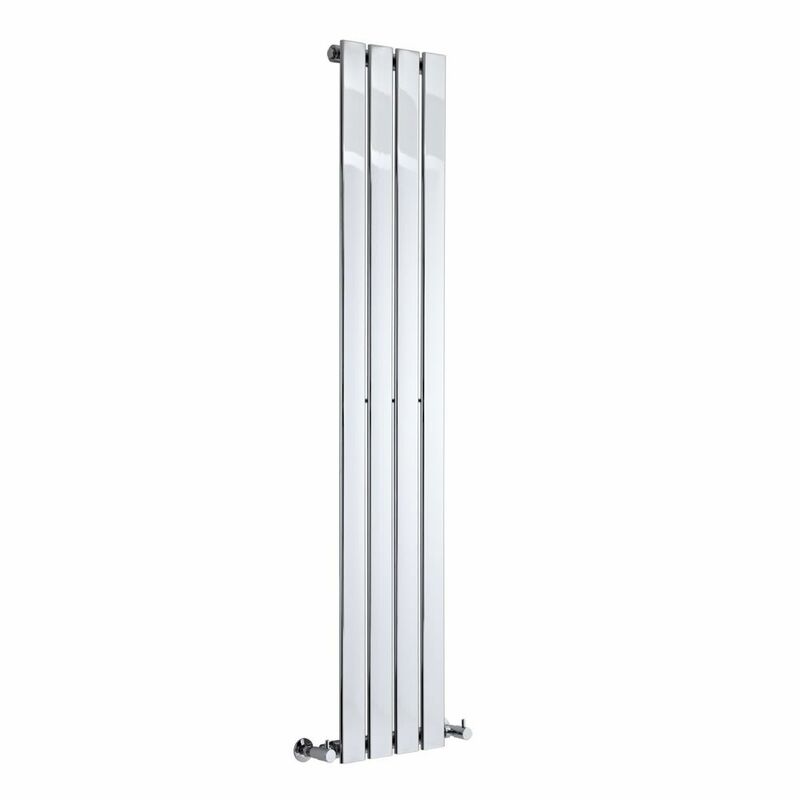 The Hudson Reed heating collection guarantees an excellent performance, with each component delivering an outstanding heat output in relation to the size and type of your space. 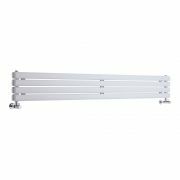 Our wide range of designer radiators and heated towel racks are supplied in a variety of sizes and styles, and you can reduce energy consumption and ensure your home heating operates at peak efficiency by using our BTU/wattage calculator prior to making your purchase. 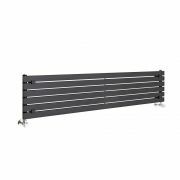 Stunning European design elements are incorporated within Hudson Reed’s heating range, with our designer radiator boasting unrivalled aesthetics that will enhance the appearance of any room. 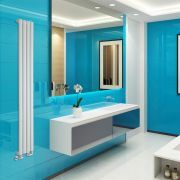 Both modern and traditional European-style models are available, and each and every radiator and heated towel rack is supplied complete with valves. 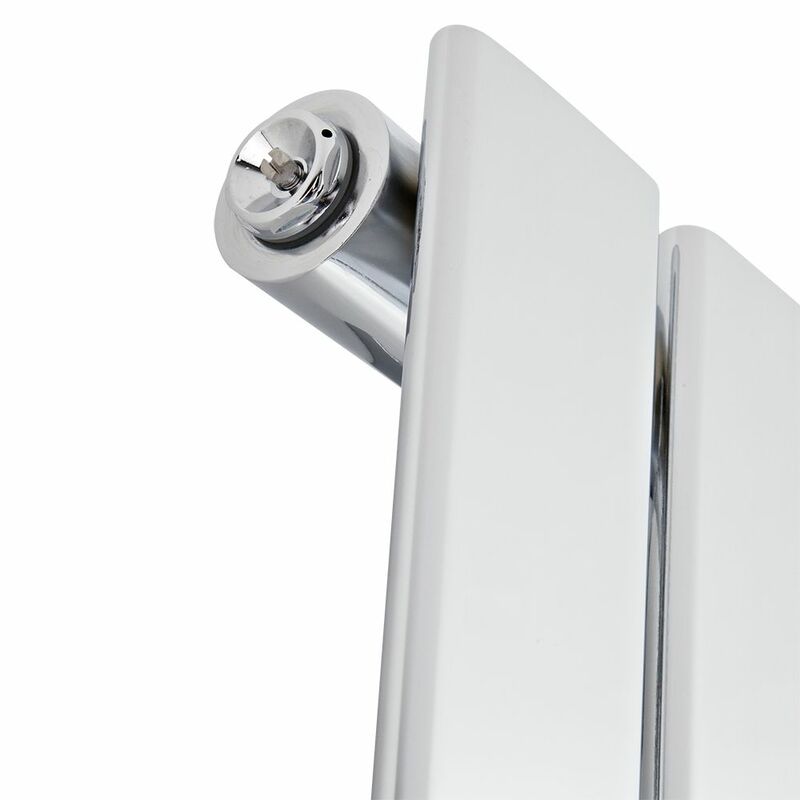 Also maintaining a supreme confidence in the quality of our products, Hudson Reed are proud to accompany all of our designer radiators with a 10-year guarantee. 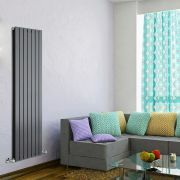 Depending on your home décor, and what kind of room you’re looking to populate, you can choose from many different styles of designer radiators to improve the look and functionality of your chosen area. 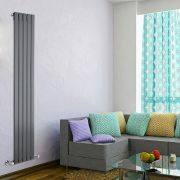 The likes of our aluminium radiators will deliver outstanding durability, in addition to a sense of eye-catching contemporary flair that will mesh well with any surroundings, whilst our ultra-modern central connection radiators are a great choice to maximize space, and provide a sleek, streamlined appearance. Be sure to consider every type of a stylish selection of modern designer radiators before deciding which one would make a perfect addition to your home. From our traditional cast-iron style radiators to our sleek modern designer towel warmers, every purchase from Hudson Reed will include valves, meaning you will have everything you need to heat up your home. These can be paired with our selection of radiator and towel warmer accessories to fully complete your chosen aesthetic and create the home of your dreams. 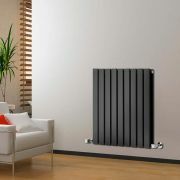 Delta - Anthracite Vertical Double Slim-Panel Designer Radiator - 63" x 19.25"
Sloane - Black Horizontal Single Flat-Panel Designer Radiator - 14" x 63"
Delta - Black Horizontal Double Slim-Panel Designer Radiator - 25" x 24.75"
Revive - White Horizontal Double-Panel Designer Radiator - 9.25" x 63"
Delta - Anthracite Vertical Single Slim-Panel Designer Radiator - 70" x 13.75"
Revive - White Vertical Single-Panel Designer Radiator - 70" x 9.25"
You're reviewing:Delta - Chrome Vertical Single Slim-Panel Designer Radiator - 63" x 11.75"